Home/Archive by Category "Pre-Retirement Planning"
On 26 March, the ALP revised their proposal in the light of significant public criticism. Direct investments by welfare pensioners (part and full aged, disability and other Centrelink pensions) were also excluded, ensuring 306,000 pensioners will continue to receive cash refunds. SMSFs are also exempt if they had at least one welfare pensioner before 28 March 2018. Our understanding is this exemption does not apply to other superannuation funds. Analysis of key drivers (to losing franking credit refunds) and their potential magnitude. Investors with higher allocations to Australian shares, or allocations to higher-yielding Australian shares could earn even higher levels of franking credits. They stand to lose more if franking credit refunds are denied. In our analysis we double the level of franking credits in our high-franking scenario. Our scenario analysis finds that any relatively mature superannuation fund, where maturity is defined by the percentage of member balances in pension mode, may be in a net franking credit refund position. This article was authored by Dr Don Hamson. Dr Don Hamson is Managing Director at Plato Investment Management Limited. This article is for general information only and does not take account of any person’s financial circumstances. People happiest with their lot in life are most likely to have a financial plan, according to the FPA Live the Dream report. The national research of working-age Australians also includes insights into the regrets, dreams, and attitudes to matters of money and life across generations, genders and geographies. Almost one in four Australians (23%) surveyed believe they are living the dream. These enviably content people who dream big and are prepared to act of their plans are nearly three times more likely to seek the advice of a financial planner (24%) than those who describe themselves as not yet living the dream (9%). Not everyone is content, however. The research also shows 80 per cent of working-age Australians are stressed about money and finances, with 1 in 4 indicating acute stress levels. Gen X and Gen Y are the most stressed about money and finance, and are the generation most likely to struggle with planning. Half of Gen Y (53%) finds planning their life hard. Two in five Gen X Australians feel the same way (44%), while Baby Boomers are the most likely to find planning easy to do (25%). SA Leaders Presentation, February 2017. Changes to Centrelink assessments mean less age pension! Concessionally assessed, deeming provisions… unless you are a trained financial expert, determining how the changes to Centrelink assessment rules will affect your individual circumstances can be confusing. The good news is, it doesn’t have to be and there are a number of ways to minimise the impact. This particular legislation however, does come with a deadline (January 1, 2015) so it is critical that you seek advice regarding your options sooner rather than later. The changes: The rules in regards to how your pension is assessed for Centrelink entitlements changes on January 1, 2015. These changes became law on 31st March, 2014. Going forward, normal Centrelink deeming rules will now be applied to superannuation account-based income streams. Currently these income streams are concessionally assessed for Centrelink purposes, which results in higher entitlements. According to the rules, indefinite grandfathering will apply to any superannuation pensions that are in place by January 1, 2015. Retirees who change their superannuation product on or after January 1st, 2015 will be subject to the new deeming rules. Retirees who choose to commute their superannuation pension on or after January 1st, 2015 will be subject to the new deeming rules. Anyone looking to claim or getting close to qualifying for a pension, needs to do so before January 1st, 2015. If they are not receiving the pension by this time their super pension will be subject to the new deeming rules. Currently, retirees whose Centrelink entitlements are affected by the income test, may choose to optimise their entitlements by investing in non-deemed investments, such as an account-based pension. An investment into an account-based pension entitles you with a non-assessable amount to reduce your chosen income payment. This often results in a much lower income assessment and, therefore, a potentially higher Centrelink entitlement. From January 1st, 2015 new account- based superannuation pensions (started on or after this date), will be subject to deeming (applied when assessing a person’s eligibility against the Age Pension Income Test). This investment will be treated for example like a share or term deposit and may no longer be ‘income test friendly’. This may result in a much higher income assessment and, therefore, a potentially lower Centrelink entitlement. 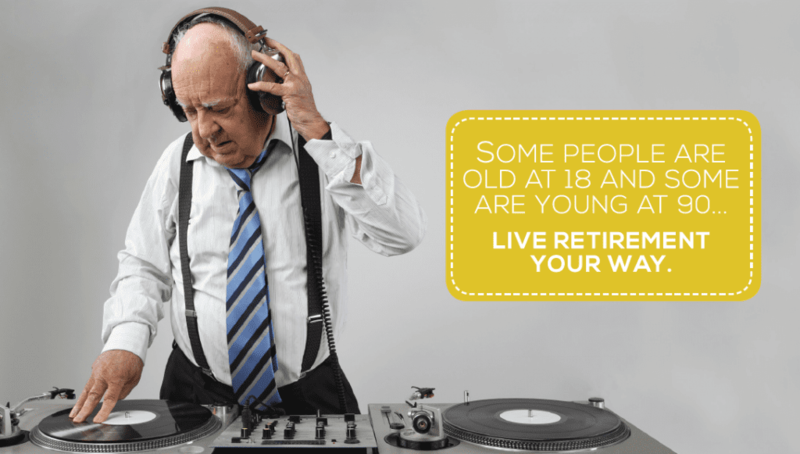 Those who may be most affected by the new deeming rules are individuals with additional income sources such as Government superannuation pensions (including pensions from overseas). The new rules will have a number of implications for many Australian’s and their retirement strategies. A good financial planner will be able to provide clarity around the issues and show you a range of likely outcomes. The important thing is to seek advice and plan now! That’s the average balance of a lost or ATO-held super account in Australia. If you’ve changed jobs, done casual or part-time work, moved house or changed your name, then you could be one of the many Australians who have some lost or ATO-held super waiting to be found. No contributions or rollovers have been added to your super account in the last year and either your super fund never had an address for you, or mail sent to you by your super fund has been returned unclaimed,How can you find it? or for employer default super plans, no contributions or rollovers have been added to your super account in the last five years. your super fund is unable to identify you as the owner of the account based on the information reasonably available to them. Your super could also be transferred to the ATO in certain other circumstances. The ATO could also be holding other super amounts for you:such as Super Guarantee amounts paid to them by a previous employer or Government Co-contributions or Low Income Super Contributions paid by the government. Speak with your financial adviser today. A good advice firm will have an integrated service that will easily track and consolidate your super for you. Another way to find your lost super is through the ATO SuperSeeker service, all you’ll need is your tax file number. The widely-used life insurance equation of ‘10 x annual earnings’ is not enough to secure a family’s long-term lifestyle, the latest underinsurance research from Rice Warner has revealed. The consulting firm has released its annual ‘Underinsurance in Australia’ report, which found that in order for a family’s standard of living to be maintained in full, life insurance cover of an amount equal to 15 years’ income is required. 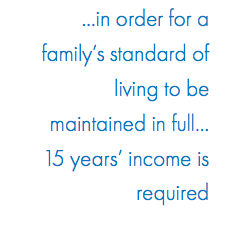 Similarly, TPD cover equivalent to 15 years’ annual earnings is required to ensure sufficient long-term finance for a family if one income-earner became permanently unable to work. According to Rice Warner, cover of around 10 times the annual earnings of an average Australian couple aged 40, with children, would only extinguish debt and cover existing expenses, until the youngest child reaches the age of 21. It would not replace any savings that could be accumulated if the missing family member was still earning an income, or match their predicted superannuation benefits. In addition, the researcher warned families that they should not rely on government benefits, such as the Family Tax Benefit, or childcare benefits, as these provide only a modest contribution towards overall living needs. Co-author of the report, Thierry Bareau, also warned that the rising cost of insurance could lead consumers to question the need for cover. Rice Warner’s study showed that the average cost of death and TPD insurance in employer-based superannuation funds increased by 10% between June 2012 and June 2013, with some superannuation funds raising prices significantly more. 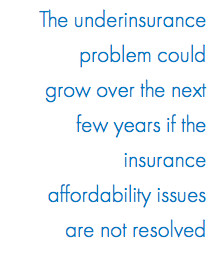 “The underinsurance problem could grow over the next few years if the insurance affordability issues are not resolved,” Mr Bareau said. He also highlighted the potential anti-selection issues which may be occurring within group insurance through superannuation, as members who may not be eligible for retail cover are taking advantage of introductory offers which enable them to top-up their cover without underwriting in the first 6 months of joining a fund. Mr Bareau said one of the ways the industry could work to avoid this potential underinsurance crisis was to review the insurance benefits currently offered within superannuation, particularly in relation to the default level of life cover provided. “The definitions around TPD may also need to be reviewed. TPD in super was originally intended to provide cover for people permanently unable to work in any role. But now, because of competitive market forces, these definitions have become looser, and people can receive benefits even if they can work in a different role than the one they originally performed. I think the industry definitely needs to take a look at this,” he said. 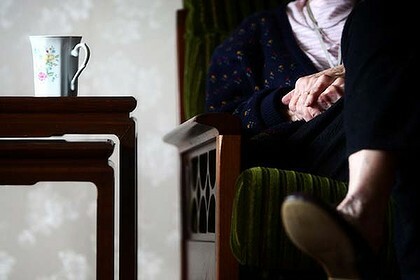 As we get older it is a safe assumption that many of us will need to access aged care services. Like any other service we should also expect to pay for it, but what sort of fees should we expect and what strategies should we be thinking about to minimise them? Extra service fees – payable for higher levels of accommodation or services if the facility is accredited as extra-service. The basic daily care fee is 85% of the single rate of age pension to ensure everyone can afford to pay these fees. If you have higher levels of income you will pay a higher fee. This extra income-tested fee could be up to $72.48 per day (current to 31 Dec 2013). With good advice and careful planning, there are strategies you can implement to minimise aged care fees and potentially maximise age pension. For example if you can reduce assessable income (using Centrelink rules) you can also reduce the income-tested daily care fee. Investing in an investment bond through a family trust. Family discretionary trusts can be used to hold assets for a number of reasons. This might be for management of family finances or taxation planning. If combined with an investment bond it can also be used to reduce assessable income for Centrelink and aged care purposes. Under this strategy, a family trust is set up and money is transferred into the trust. The trust then uses this money to buy an investment bond. Money held in a family trust is not assessed under the normal deeming rules for Centrelink/aged care purposes. Instead, the assessable income is the same as taxable income. This is where an investment bond can be handy. Earnings on an investment bond are taxed in the hands of the product provider, not the investor. So as long as no withdrawals are made (in the first 10 years), there is no taxable income to the trust. And if there is no taxable income, there is no assessable income. If there is no assessable income, the daily care fees in aged care can be minimised and your age pension may be increased if you are on a lower pension due to the income test. Is it always a good idea? Are paying an income-tested fee. As with many strategies, there is an upside and a downside. You should always seek advice to determine if this strategy works for you. 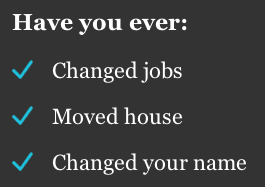 This information does not consider your personal circumstances and is general advice only. Before making any decisions based on this information you should consider its appropriateness taking into account your objectives, financial situation and needs. Copyright © KeyInvest Ltd (2013) All rights reserved. Except as provided in the Copyright Act 1969, this work may not be reproduced in any form without the written permission of KeyInvest Ltd.